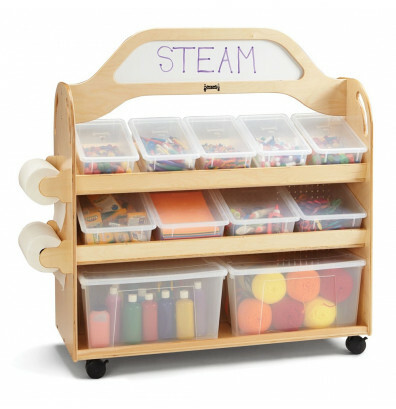 Jonti-Craft STEAM double-sided classroom storage cart includes five plastic cubbie trays, four clear tubs, and two large totes, all with lids for better organizing. A dry erase board at the top for use with dry erase markers. 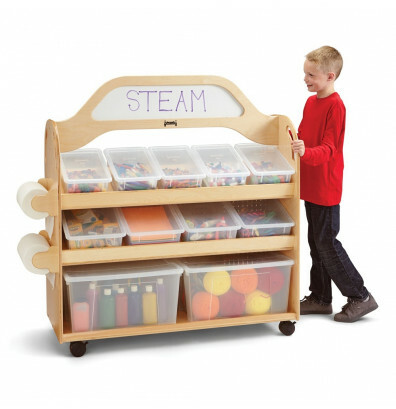 Jonti-Craft STEAM 3522JC classroom storage is a double-sided cart that includes three shelves on the front and a pegboard on the back. The two top angled front shelves include five clear cubbie trays and four clear tubs. The large bottom shelf includes two clear tubs to store larger items. All bins include lids. The back pegboard allows hanging of bins and hooks for tools and smaller supplies. Ships ready to assemble. 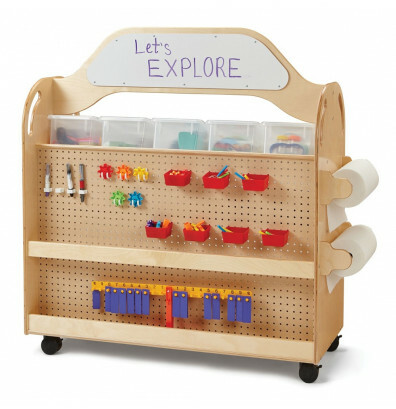 This Jonti-Craft cubbie storage cart has a double-sided Write-n-Wipe dry erase board at the top for use with dry erase markers. The back side also includes a space to hold large sheets of paper and roll materials. Two holders on the side of the cart for dispensing tape, ribbons, paper towels, and other materials. Durable plywood body with an acrylic coating that resists yellowing. Rounded edges for safety. Four 3" locking casters provide solid mobility. Do you sell replacement bins for this cart? We have 5 carts, and are looking to purchase another 20-30 bins, to rotate the content/activities for our patrons. We do have additional bins available. 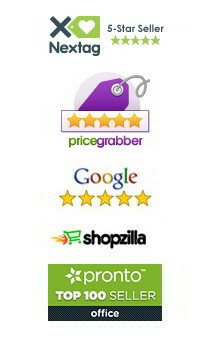 They can be found at the link below or by searching our "Trays, Totes & Tubs" category and filtering by the brand Jonti-Craft.